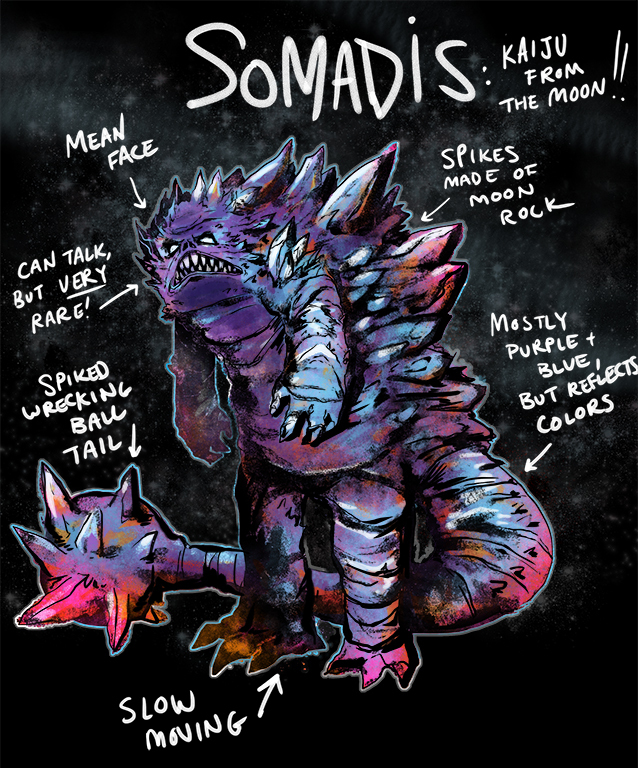 Somadis is a huge kaiju from the moon. He likes smashing buildings and causing destruction in general. He is made of spiky moon rocks. He is obviously more powerful at night and during a full moon. He can shoot "moon energy" from his mouth. His spiky ball tail can be used to smash things, as well as his bare fists. He is slow moving, and kind of shuffles around. His mouth is always open. He glows in the dark and his colors can vary.